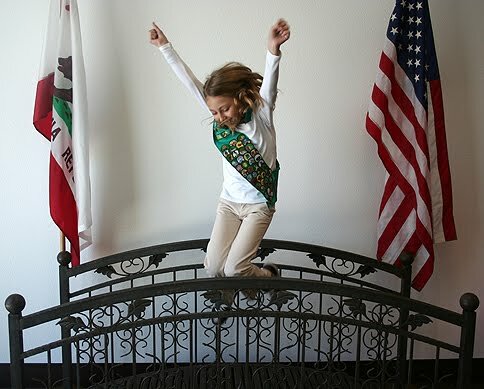 Girl Scouts of San Gorgonio Council's Blog reports on the council's record-breaking cookie season this year, with 2,085,276 boxes sold council-wide. Last year's total number of boxes sold was 1,753,148. The Girl Scouts' "I CARE" program also raised a record number of donations. Through "I CARE," cookie buyers choose an organization they would like to gift with their cookie donation. The program benefits military service people as well as local charities such as food banks, women's shelters, Ronald McDonald houses and camps. As a result, 164,600 boxes of cookies were donated through I CARE--an increase of 34% over last year. More than 107,000 of those boxes were donated to Operation Gratitude to be shipped to deployed military, the largest single donation from any organization ever. Top selling girl, Caitlin Loret, sold 4,051 boxes. Congrats to Girl Scouts of San Gorgonio on their amazing sales!